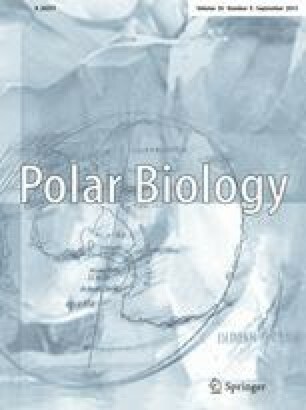 The breeding period of the Antarctic flea, Glaciopsyllus antarcticus (Smit and Dunnet), was synchronised with the breeding period of the host, Southern Fulmar (Fulmarus glacialoides Smith). Although eggs were laid in the host nest, larvae developed amongst the down (particularly on the belly) of host chicks. Larvae were blood feeders and pupated amongst the down of host chicks. The development of pupae was arrested by ambient temperatures (mean temperature of +2.5°C in January), but recommenced when pupae were warmed. Female fleas comprised 55.8% of a collection of 1988 adults. Low numbers of adult fleas were found in nests prior to host breeding and subsequent to host fledging in comparison to numbers on the host; adults are therefore presumed to overwinter on the host, remote from the nest.